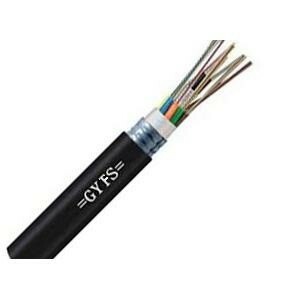 The fibers, 250μm, are positioned in a loose tube made of a high modulus plastic (PBT) and filled with water resistant filling gel. 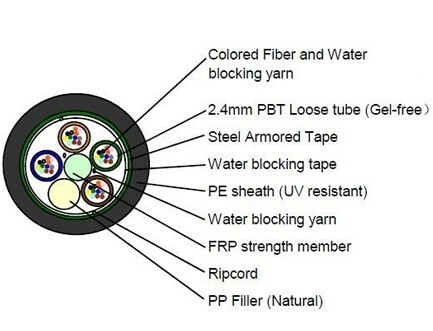 Loose tubes are stranded around the non-metallic central strength member (FRP), cable core is filled with water blocking tape. The Corrugated Steel Tape is longitudinally applied over the cable core, and combined with a durable Polyethylene (PE) sheath.